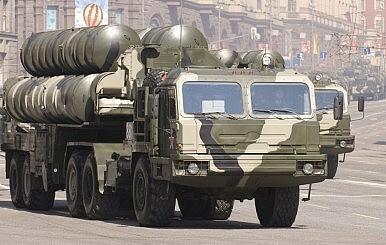 The United States and India continue to discuss New Delhi’s intended procurement of five regiments of Russian-made S-400 Triumf air defense systems (NATO reporting name: SA-21 Growler) and Washington’s threat to impose economic sanctions on India should it proceed with the purchase of cutting-edge Russian military hardware. So far, they have not reached an agreement, according to a senior U.S. official. “We continue to have conversations with the Indian leadership on ways that we are working to hold Russia accountable for its behavior,” Principal Deputy Assistant Secretary of State for South and Central Asia Alice Well said during a conference call with reporters on September 10. A Year After Doklam: Will Peace Hold? A year has passed since India and China announced their decision to peacefully “disengage” at Doklam and commenced the difficult task of trying to rebuild the relationship. While the year witnessed meetings between India’s Prime Minister Narendra Modi and Chinese President Xi Jinping, a major event was the first ever ‘working’ meeting between the two at Wuhan in China on April 28, 2018. This was a clear signal that the two leaders had decided to calm tensions at a time when their countries were passing through a difficult and sensitive period. The meeting could have the potential for Beijing deciding to keep the borders peaceful. Bengaluru: Across the world, income inequality is a burning issue. In theory, this inequality should result in class-based politics. 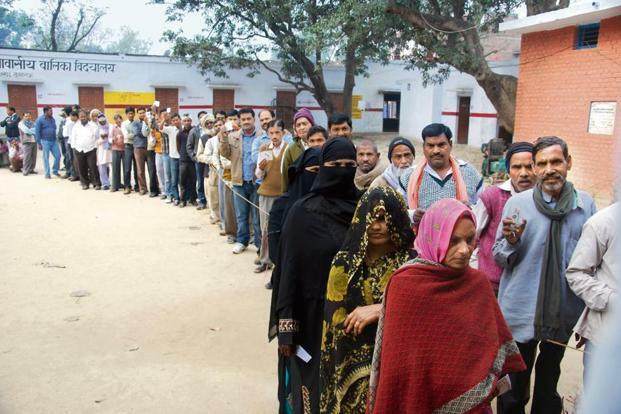 Instead, globally and especially in the West, there has been a rise in identity-based politics and populism. According to French economist Thomas Piketty, this is so, because of the emergence of new political cleavages. In a paper published earlier this year for the World Inequality Database, Piketty suggests that the traditional parties of the left in the US, Britain and France, no longer represent the working class. Analysing post-electoral survey data from national elections of the three countries during 1948-2017, he shows that the voter base for socialist-labour-democratic or ‘left’ parties has, over time, shifted from lower education and lower income voters, to higher educated voters. In contrast, the ‘right’ parties have always been supported by high-income and high-wealth voters. Last week saw significant advances in the U.S-India defense relationship. U.S. Secretary of Defense James Mattis and Secretary of State Mike Pompeo, accompanied by Joint Chiefs Chairman Gen. Joseph Dunford, traveled to India to meet with their counterparts, Foreign Minister Sushma Swaraj and Defense Minister Nirmala Sitharaman, in what was dubbed the “two-plus-two” summit. The leaders signed landmark agreements meant to further cooperation between the states in their efforts to promote regional stability. The U.S-India security relationship is underpinned by a strong foundation of shared interests and ideologies. Both countries are invested in the stability of India’s region -- they want to rein in Pakistan, stabilize Afghanistan, and halt the spread of China’s influence -- and the two nations’ democratic institutions offer a normative basis for deeper collaboration. Visit of the Chinese Defence Minister: A Missed Opportunity to Establish Hot Line between the Two Armies? The Chinese Defence Minister, Lieutenant General Wei Fenghe, visited India for four days, from 21 to 24 Aug 181. This visit was significant from more than one perspective. First, it was the first visit by a defence minister from China not only after the Doklam standoff, but also in the last six years. The last six years are significant as it is generally after 2012 that border stand offs like Demchok in Apr 14 and Mar 162, Chumar in 20143, Yangtse in Jun 164 and Doklam last year have taken place. The transgressions and face-offs between patrols are not uncommon due to the varying perception of Line of Actual Control (LAC) between the two countries. However, the severity has increased over the last few years. Secondly, the composition of the delegation has been a statement in itself, as it was a 24-member strong team with participation from important departments of the Central Military Commission (CMC). The Taliban insurgency remains resilient sixteen years after U.S.-led forces toppled its regime in what led to the United States’ longest war. American diplomats and Taliban representatives held direct talks for the first time in Qatar in July, in a volte-face from previous policy. Despite U.S. official claims that “any negotiations over the political future of Afghanistan will be between the Taliban and the Afghan government,” a six-member Taliban delegation reportedly met a senior U.S. diplomat in Doha in July. The U.S. State Department has neither confirmed nor denied that Alice G. Wells, principal deputy assistant secretary for South and Central Asia, on her visit to Qatar, had met the Taliban. The Taliban reportedly claimed the meeting did take place. This reflected a noteworthy shift in Washington’s approach which hitherto had always pushed for an Afghan-led and Afghan-owned dialogue in such peace talks. 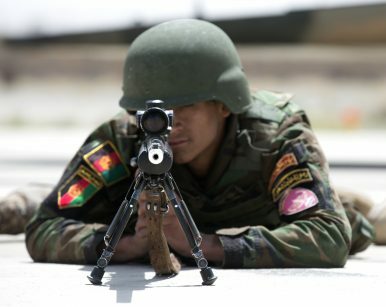 Taliban fighters massacred more than 57 Afghan military personnel and police officers in four separate attacks across northern Afghanistan, Afghan officials told the New York Times on Monday, the latest in a series of devastating and demoralizing attacks on security forces there. The Monday attack consisted of what the New York Times describedas “simultaneous assaults on six outposts” in a single strategic district in the Kunduz Province followed by several devastating assaults in outlying provinces, all of which left at least a dozen Afghan soldiers and police officers dead. The offensive came the day after 40 Afghan security personnel were killed when the Taliban overran a military base in the Baghlan province, “the second major base to fall to the insurgents in Baghlan Province in the past month, and the third in northern Afghanistan during the same period,” per the New York Times. In recent months, Germany, France, Britain, the European Union, Australia, Japan and Canada have all joined an unprecedented global backlash against Chinese capital, citing national security concerns. Dealmakers now wonder whether this dynamic will run its course or should be taken as a new normal. Outside the US, Chinese acquisitions have increasingly run into trouble. In August, the German government for the first time vetoed a Chinese takeover – the nuclear equipment maker Yantai Taihai’s proposed acquisition of Leifeld Metal Spinning, which specialises in manufacturing for Germany’s aerospace and nuclear industries – on national security grounds. In May, Canada blocked a proposed takeover of the construction firm Aecon by a unit of China Communications Construction, also invoking national security reasons. China intends to extend aspects of its crackdown on Islam in the north-western province of Xinjiang to all religions as is evident from the publication of proposed restrictive guidelines for online religious activity. The guidelines, according to Chinese Communist Party newspaper Global Times, would ban online religious services from “inciting subversion, opposing the leadership of the Communist Party, overthrowing the socialist system and promoting extremism, terrorism and separatism,” identified as the three evils China say it is combatting in Xinjiang. 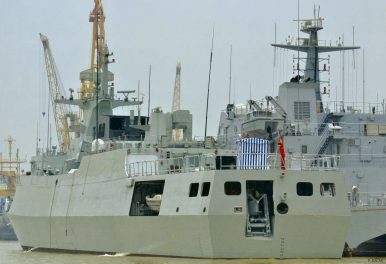 Media reports surrounding Chinese Navy (or the People’s Liberation Army Navy, PLAN) developments over recent years have predominantly focused on advancements in anti-surface and anti-ship capabilities, with some more recent coverage acknowledging gains made in anti-air warfare albeit in a much delayed fashion. However, PLAN anti submarine warfare (ASW) has continued to be portrayed as a significant deficiency, with only some articles in the last few years taking note of new platforms, weapons, and sensors that have been introduced. This piece is part one of a two part series that will consider the transformation of PLAN ASW capabilities in recent years. Part one will examine the rapid advancement of organic ASW capabilities seen aboard PLAN surface combatants. 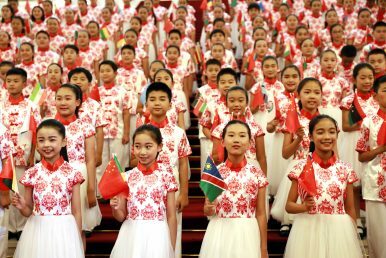 Xi Jinping’s announcement offering $60 billion(about 400 billion Chinese renminbi) in financial support to Africa at the triennial Forum on China-Africa Cooperation, with 40 African presidents in attendance, was met with loud applause at the Great Hall of the People. However, Xi’s decision got a different reception among the Chinese people. A heated debate on the necessity of Chinese development assistance has been unfolding online. One of the arguments by critics that is garnering wide sympathy is that China is still a developing country, where millions of Chinese people are living below the poverty line. Their logic is that Chinese money should be spent at home to help Chinese people in need, while assistance to the others can wait. The European Union’s China policy is in flux. A new resolution adopted by the European Parliament is more critical and principled that the previous one adopted only three years ago in 2015. This step should be welcomed, but its needs to be complemented by a strategic vision on how to promote liberal values at a time when Europe needs to closely cooperate with China. 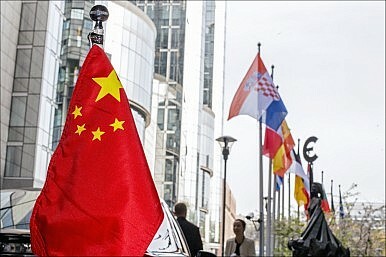 In 2015, the European Parliament, though seeing China as a difficult partner, expressed its hope to work with the Beijing government on EU-China relations that it called “a source of inspiration” for a “multipolar and globalized world.” In the latest resolution, signs of optimism are scarce; rather, it emphasizes the need to “remind China of its international obligations and responsibilities.” Discussing issues ranging from human rights, through Chinese investments and the infrastructure policy known as the Belt and Road Initiative (BRI), to global governance and the international trade regime, hopeful tones have been replaced by skeptical if not critical views. The United States and the Republic of China (ROC, Taiwan) have yet to resolve fundamental differences of opinion when it comes to defense strategy. To be sure, the two sides have always had somewhat opposing views. That is only natural. Taiwan is a middleweight regional power, located at the doorstep of the People’s Republic of China (PRC, China). America is a massive global superpower, located outside the immediate potential warzone. Neither side understands the other as well as you might expect from countries with close ties and decades of defense and security cooperation. Many observers hoped that the election of President Donald Trump would help close the gap, especially after his December 2016 phone call with President Tsai Ing-wen (蔡英文). It now appears that the Trump administration could be too distracted to make game-changing moves. Ever since Franklin Roosevelt’s historic rendezvous in 1945 with Abd Aziz Ibn Saud, the founder of Saudi Arabia, American presidents have been enamored with Saudi kings. But nothing in the 70 plus-year history of U.S.-Saudi ties comes close to the cosmic groveling that now defines President Donald Trump’s relationship with Saudi Arabia and his slavish obeisance to its dangerous and irresponsible policies. Since Trump became president, the U.S. has enabled and supported a disastrous Saudi war in Yemen; watched as Riyadh launched a political and economic war against Qatar that’s split the Gulf Cooperation Council and enhanced Iran’s influence; stood by as the Saudis virtually kidnapped the pro-American Lebanese Prime Minister in a bungled attempt to weaken Hezbollah; remained silent while the Saudis under the guise of reform cracked down on journalists, bloggers, businessmen and anyone else who dared criticize the 30-something crown prince; and said nothing as Riyadh battered Canada—a close U.S. ally that dared challenge Saudi human rights abuses. "Setting fire to the ground,” a “major catastrophe,” bringing “new instability” are the headlines that have greeted Donald Trump’s unorthodox decisions over the past year. Withdrawing from UNESCO, moving the US Embassy, leaving the Iran deal and cutting funding to UNRWA and funding for Pakistan were seen as extreme decisions in the Middle East and around the world. Insofar as there is a “Trump Doctrine,” it has been to call this bluff. In the mind-set of Trump and his team, the time has come for the United States to move quickly to reverse decades of foreign policy norms, ending the status quo, and ripping up what the previous administrations did. So, as it turns out, the far right did not swamp Sweden in Sunday’s election. Beware doom-laden forecasts about Europe: sometimes they bear less relation to reality than to the ideology of those who seek to undermine the European project, have deep qualms about it, or just think it’s going to the dogs. Loud, scary headlines make for more clicks. Polarised discourses breed oversimplification. I’m not sure I’ve always avoided it. But something else is at work in the way Europe is increasingly framed and distorted: an insidious Brexit-Trump lens is too readily slapped on to the old continent. The English-language international media play a big role in this. Taken together, they produce a “reading” of Europe in which the EU is headed for the scrapheap of history, sliding irrevocably towards a political crash in much the same way the UK and US did in 2016: a brutal, overnight departure from much of what pre-existed, and was up until then deemed secure. What’s happened to us is coming your way. LIBERALISM made the modern world, but the modern world is turning against it. Europe and America are in the throes of a popular rebellion against liberal elites, who are seen as self-serving and unable, or unwilling, to solve the problems of ordinary people. Elsewhere a 25-year shift towards freedom and open markets has gone into reverse, even as China, soon to be the world’s largest economy, shows that dictatorships can thrive. For The Economist this is profoundly worrying. 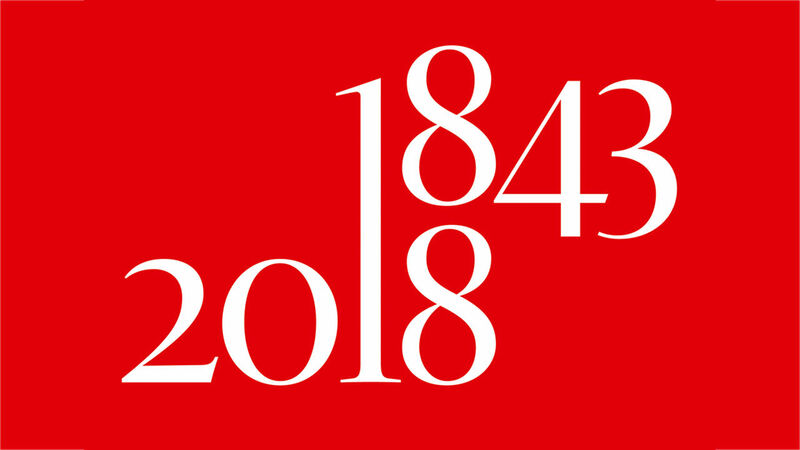 We were created 175 years ago to campaign for liberalism—not the leftish “progressivism” of American university campuses or the rightish “ultraliberalism” conjured up by the French commentariat, but a universal commitment to individual dignity, open markets, limited government and a faith in human progress brought about by debate and reform. This week Russian forces are holding the Vostok-2018 military exercise in the Far East and Eastern Siberia. It is the largest military drill in Russia’s post-Soviet history, bigger in scale even than the infamous West-1981 drill of Warsaw Pact countries. It’s not just the Cyclopean scale of the exercise, however, that is making headlines. It’s who is on the guest list. The strategic partner in this drill for the Russian troops will be the Chinese People’s Liberation Army (PLA). Chinese participation in Vostok-2018 is, indeed, groundbreaking. It sends a powerful message about the evolving relationship between the great Eurasian powers, which just a couple of decades ago viewed each other as adversaries. Some emerging economies have grown much faster and more consistently than others. Underlying these success stories is a pro-growth policy agenda and the standout role of large companies. Emerging economies have accounted for almost two-thirds of the world’s GDP growth and more than half of new consumption over the past 15 years. Yet economic performance among individual countries varies substantially. Some emerging economies have managed to achieve strong and consistent growth over a long period. These are the outperformers. What’s the secret to their success? Dear readers, if a story about the get-rich-quick promises of cryptocurrency trading is what you seek, keep on moving. Rest assured, that story exists. It's all over the interwebs, in one form or another: jazzy headlines about average Joe So-and-So turning $1k into $1 million overnight in the crypto markets. We're not saying it couldn't happen. People do get lucky now and again. It's just that, we're not in the business of luck. We're in the business of using objective analysis to identify high-confidence trade setups in the world's leading financial markets, inscrutable as they may be. Militaries around the globe are racing to build ever more autonomous drones, missiles, and cyberweapons. Greater autonomy allows for faster reactions on the battlefield, an advantage that is as powerful today as it was 2,500 years ago when Sun Tzu wrote, “Speed is the essence of war.” Today’s intelligent machines can react at superhuman speeds. Modern Chinese military academics have speculated about a coming “battlefield singularity,” in which the pace of combat eclipses human decision-making. The consequences of humans ceding effective control over what happens in war would be profound and the effects potentially catastrophic. While the competitive advantages to be gained from letting machines run the battlefield are clear, the risks would be grave: Accidents could cause conflicts to spiral out of control.